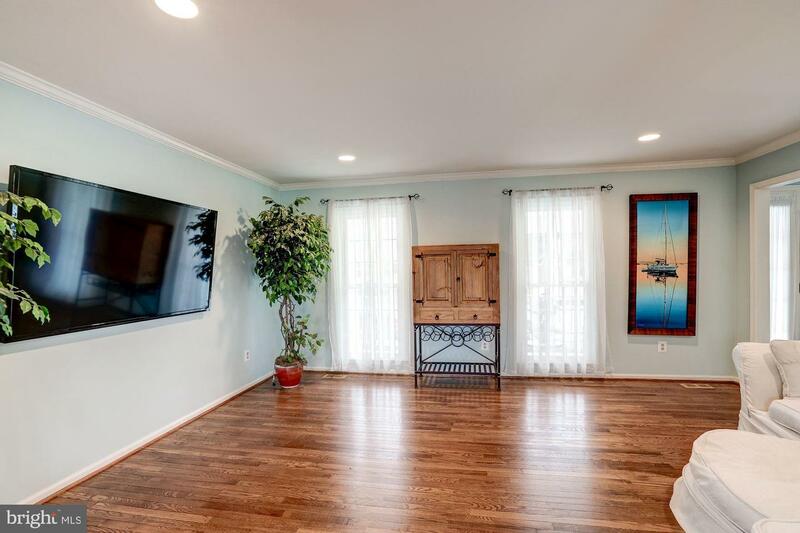 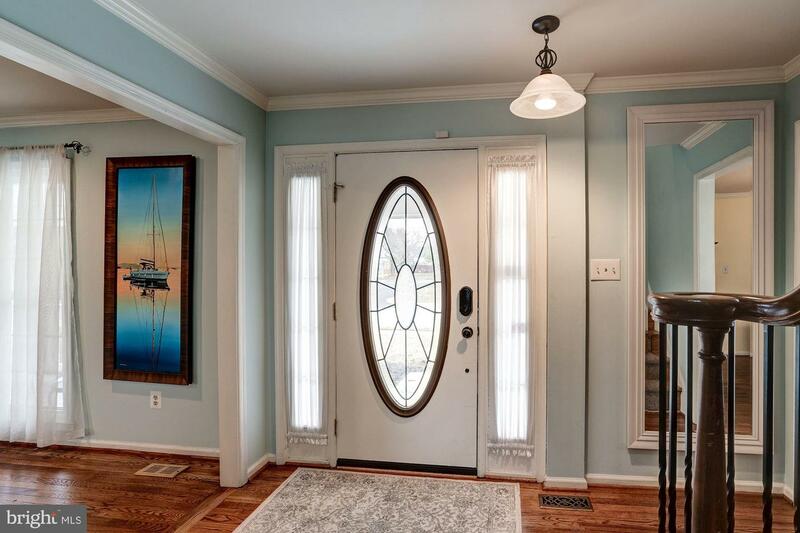 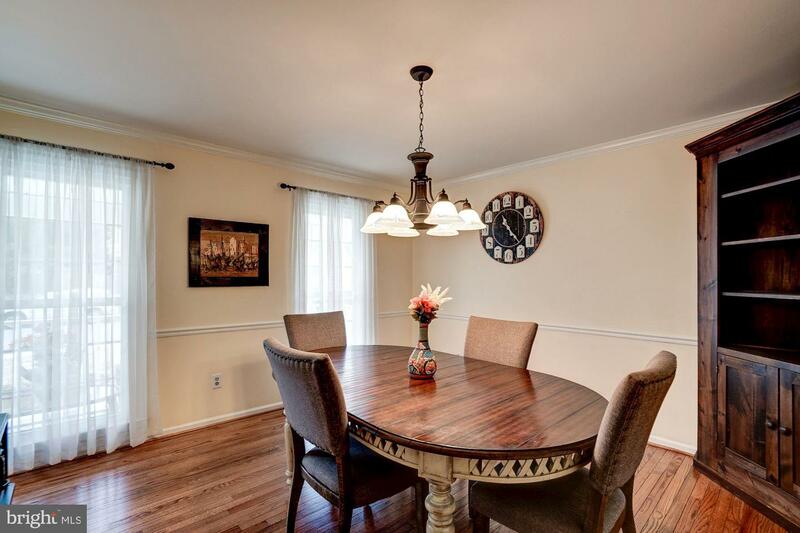 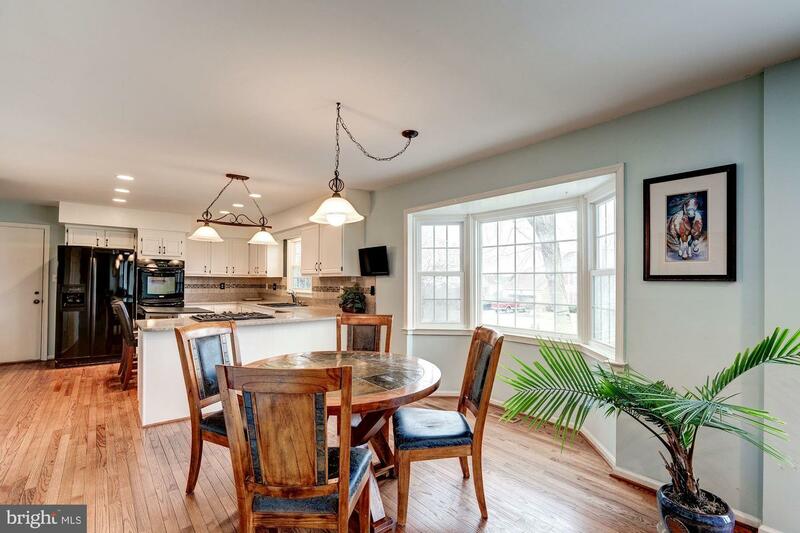 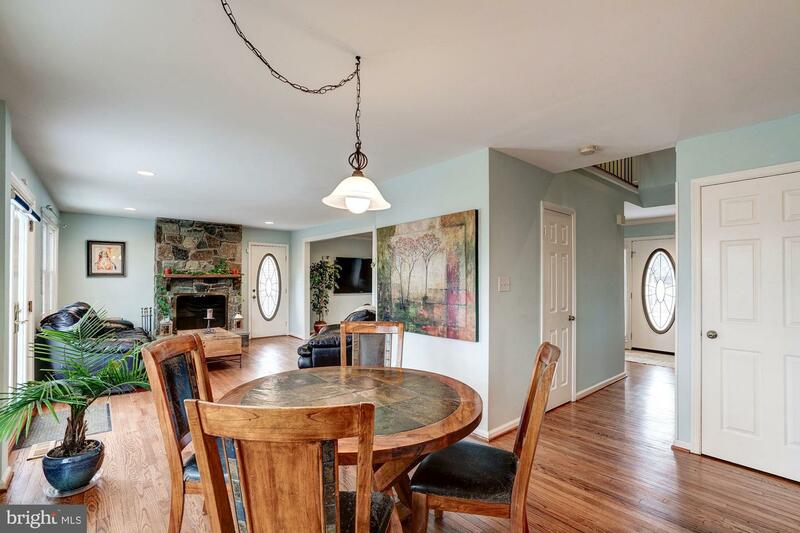 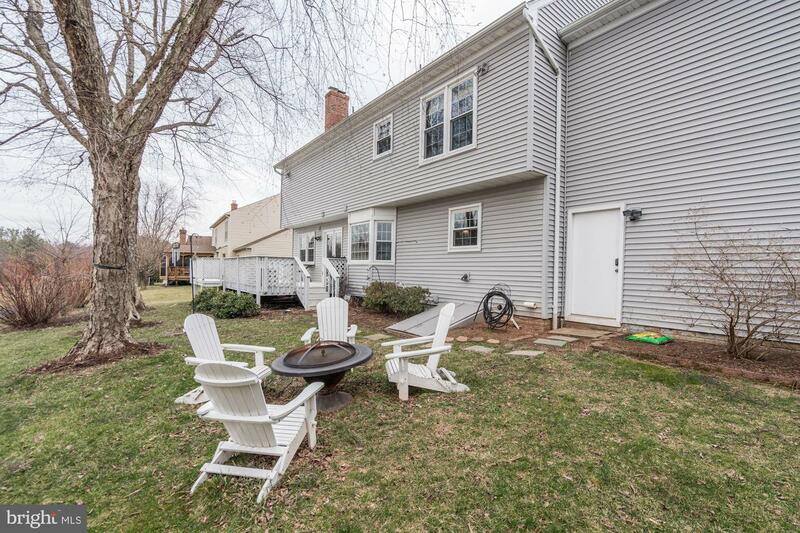 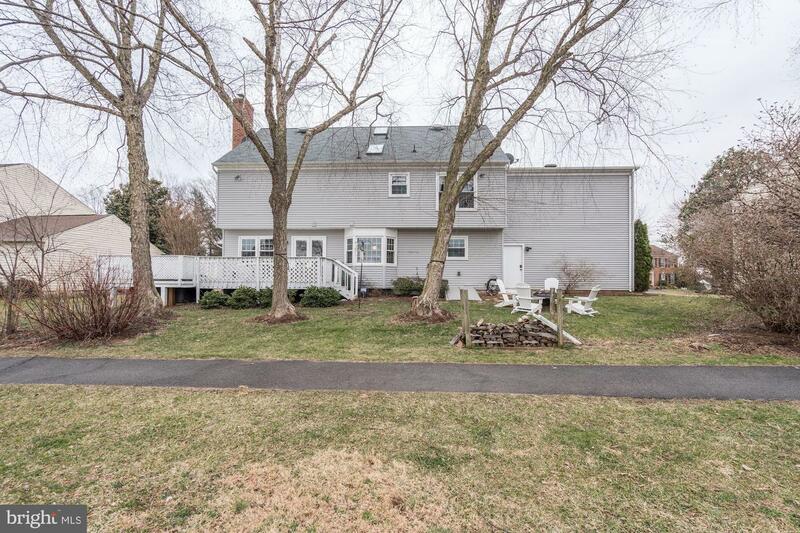 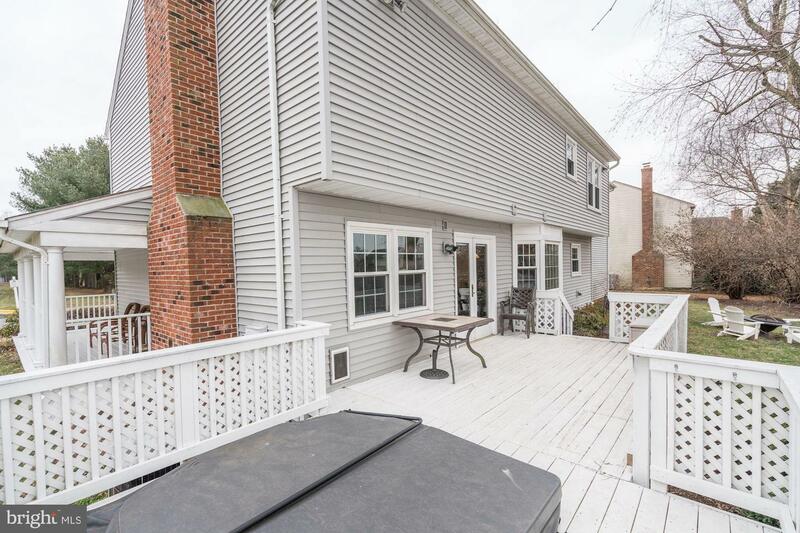 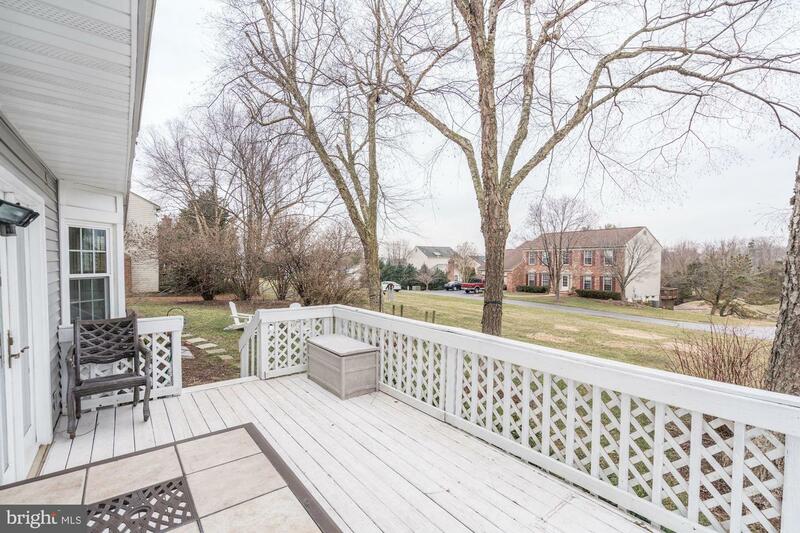 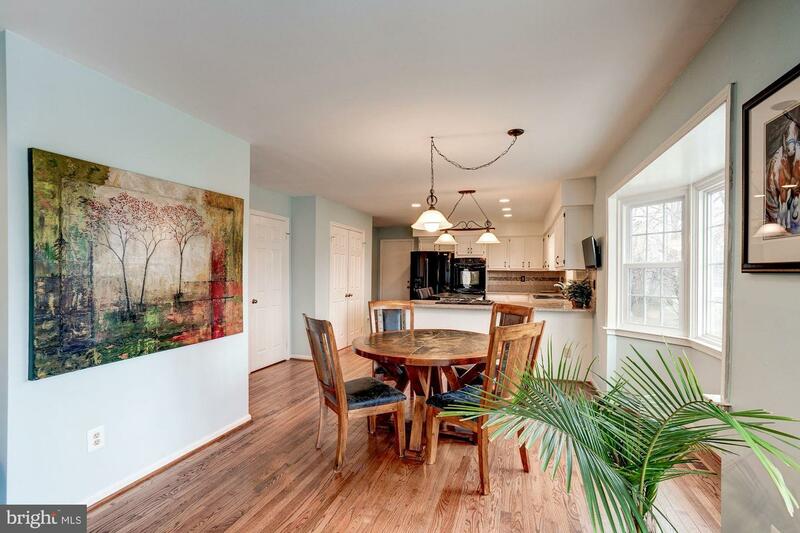 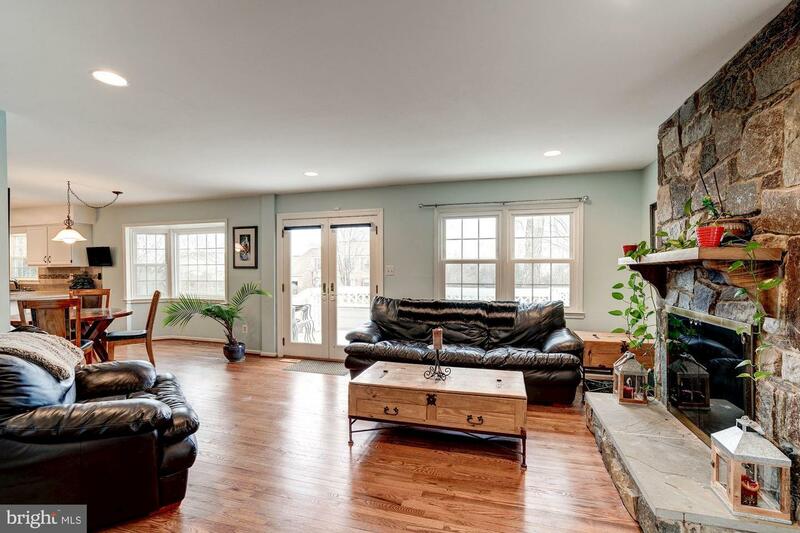 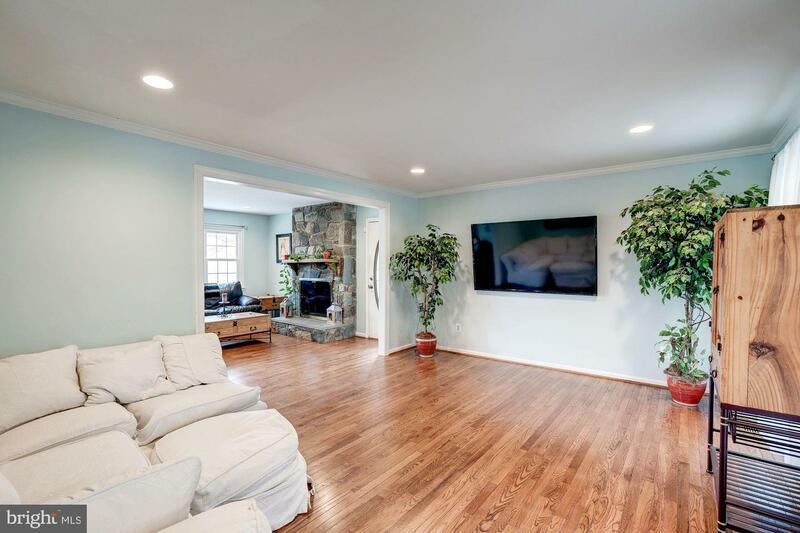 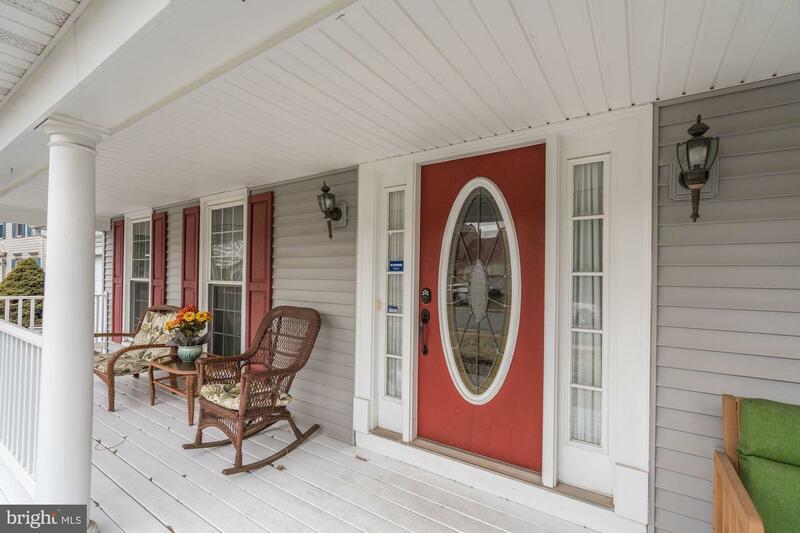 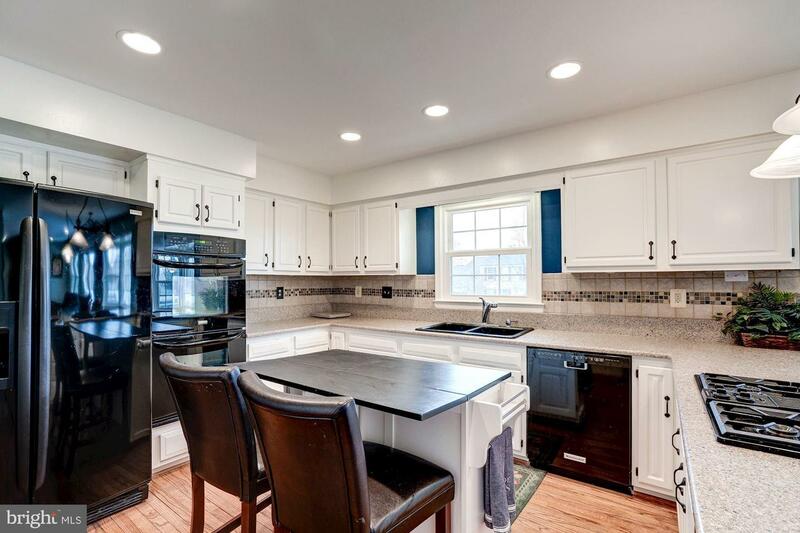 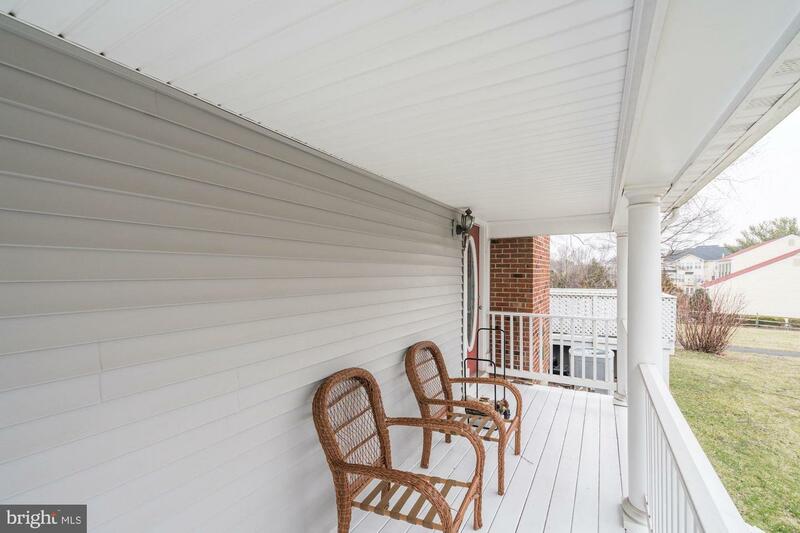 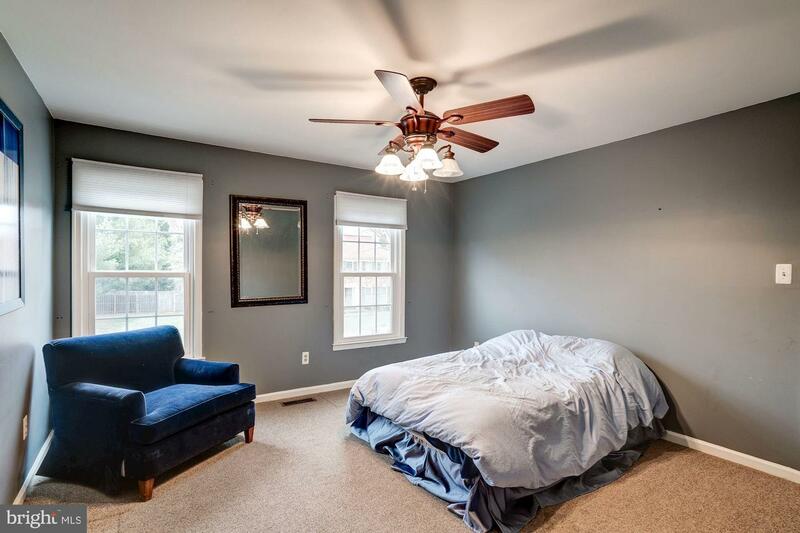 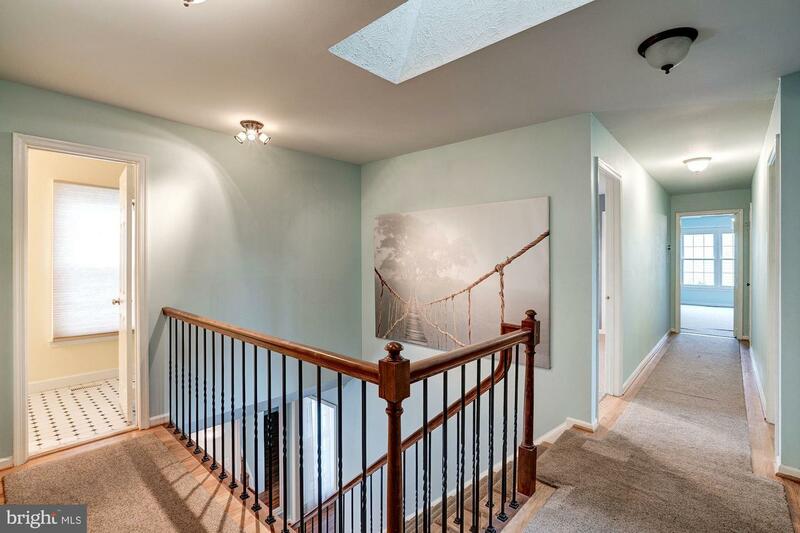 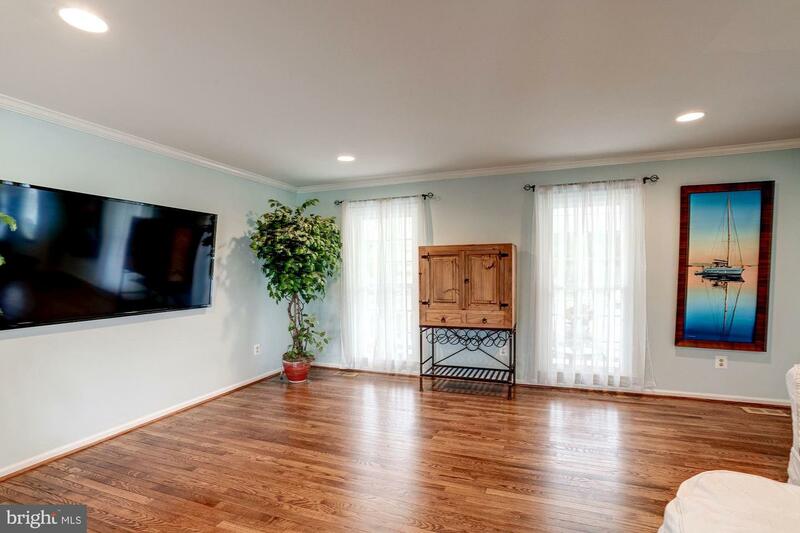 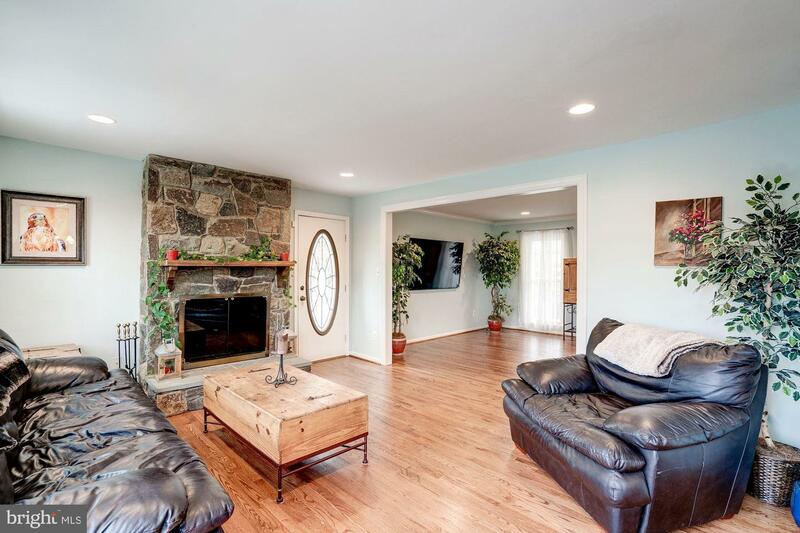 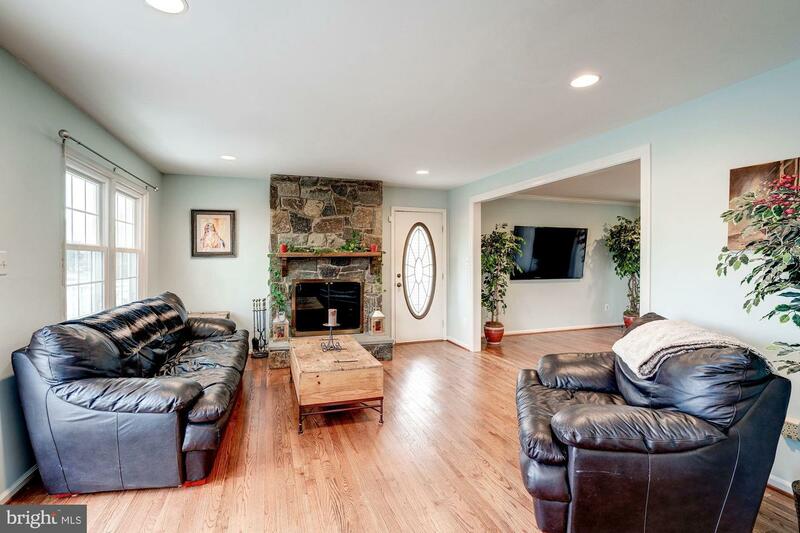 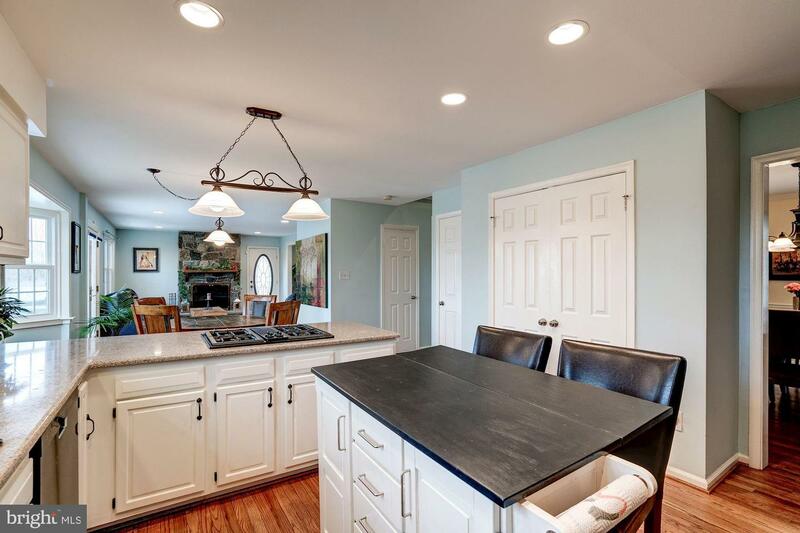 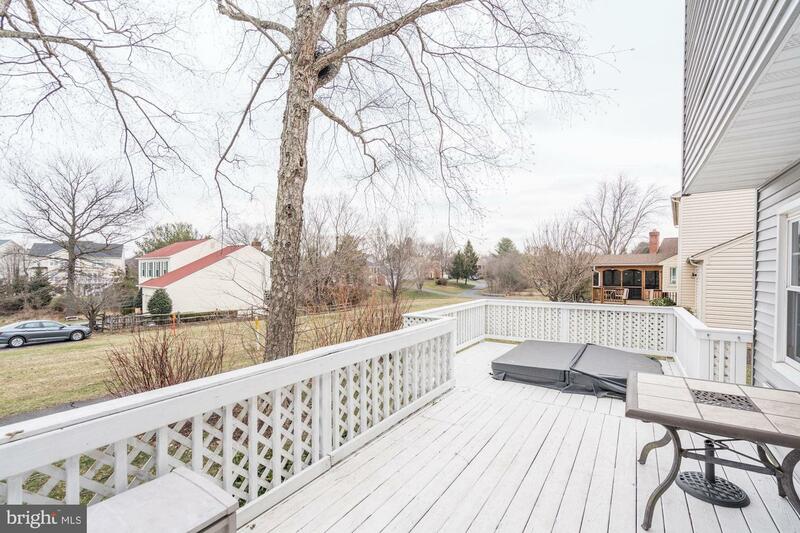 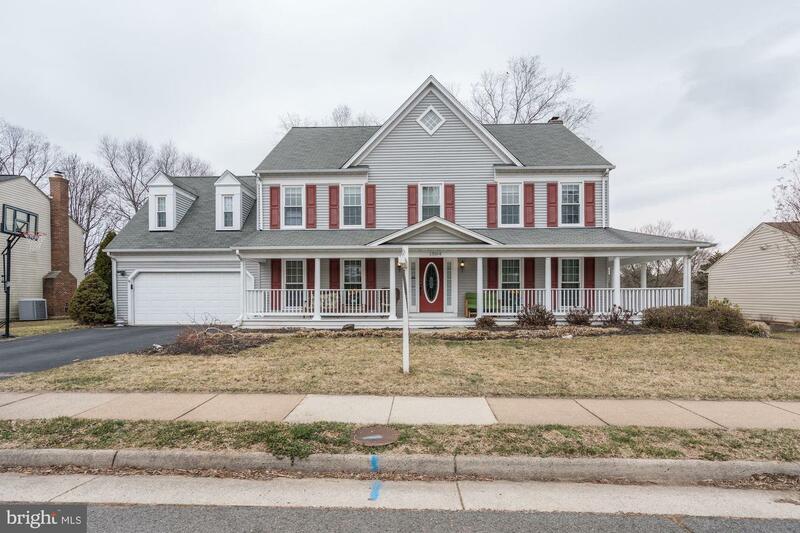 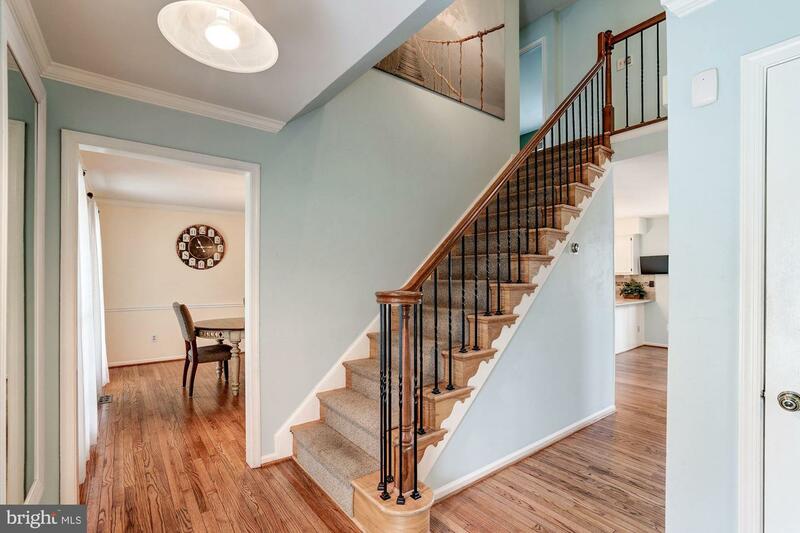 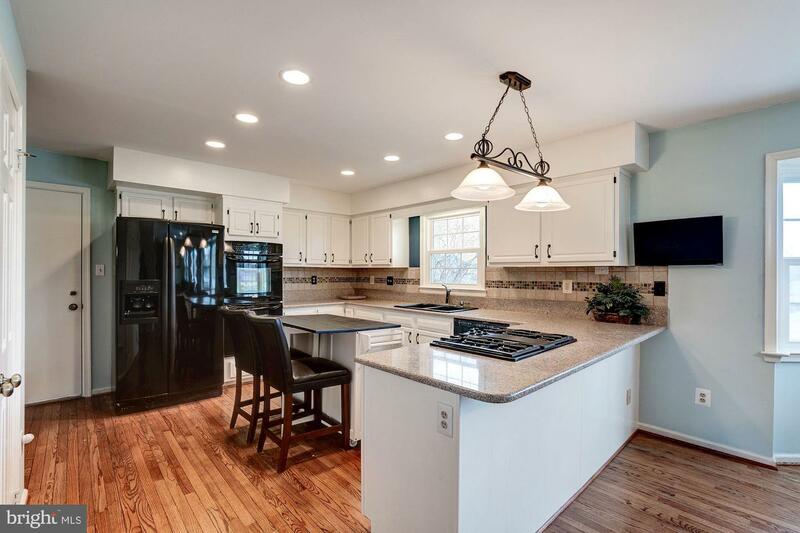 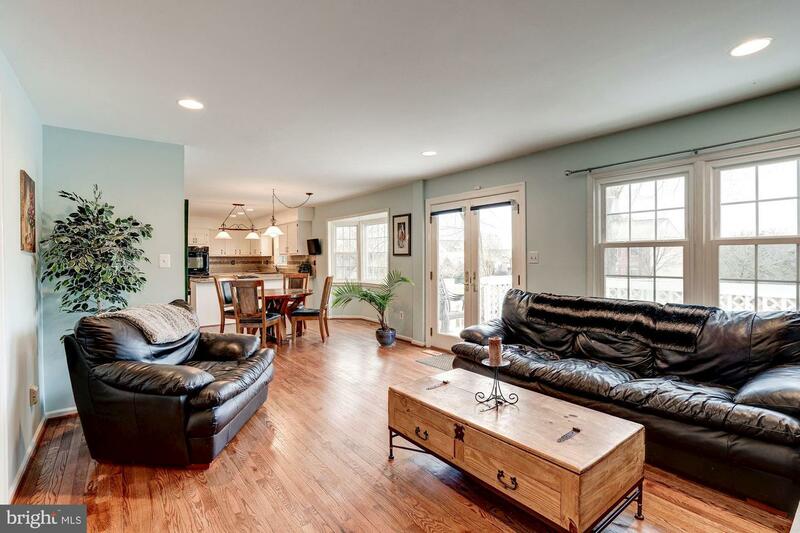 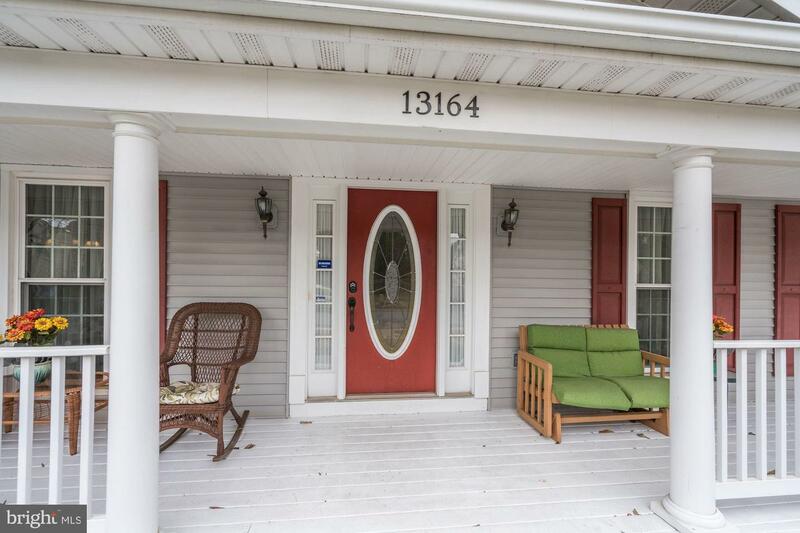 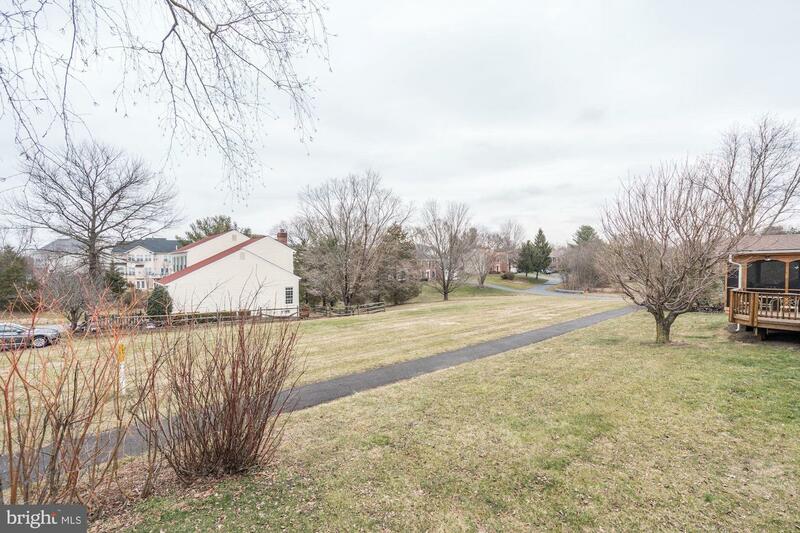 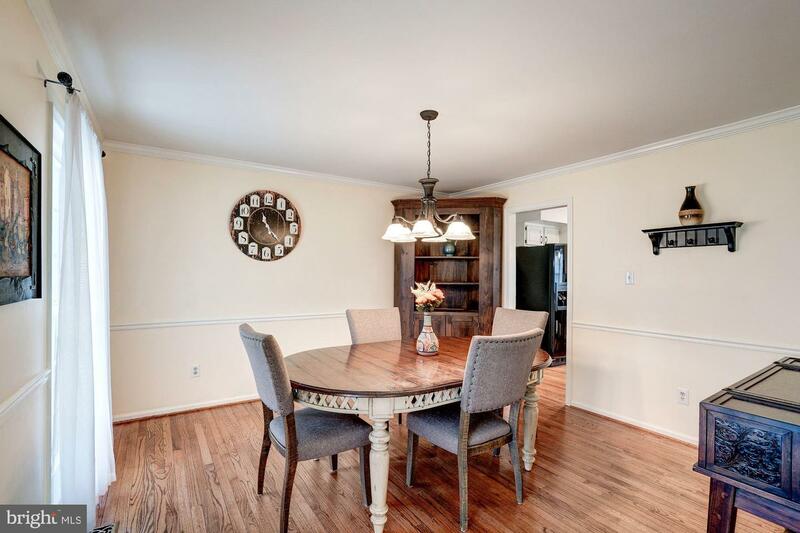 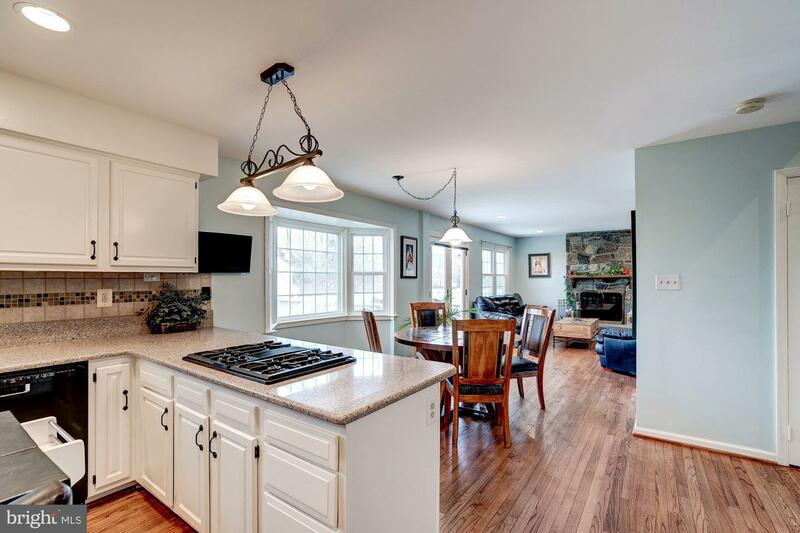 Beautiful colonial in Herndon with 4/5 large bedrooms and 3.5 baths. 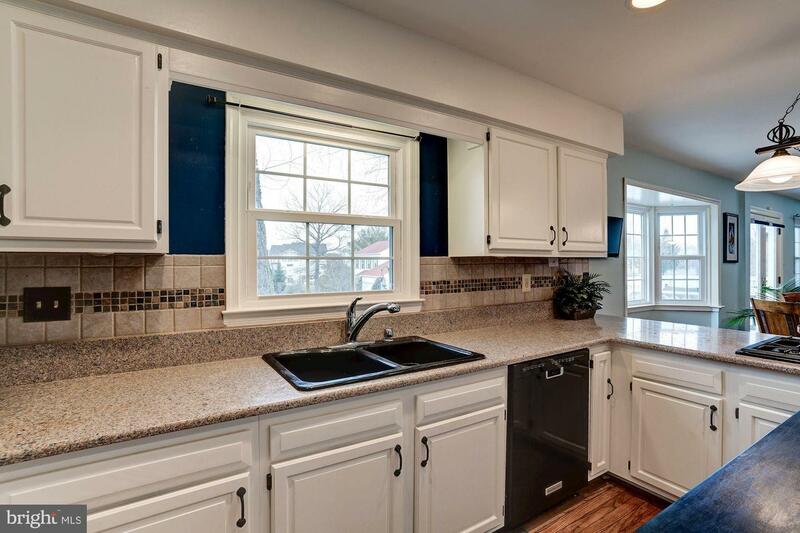 Large windows brighten every space. 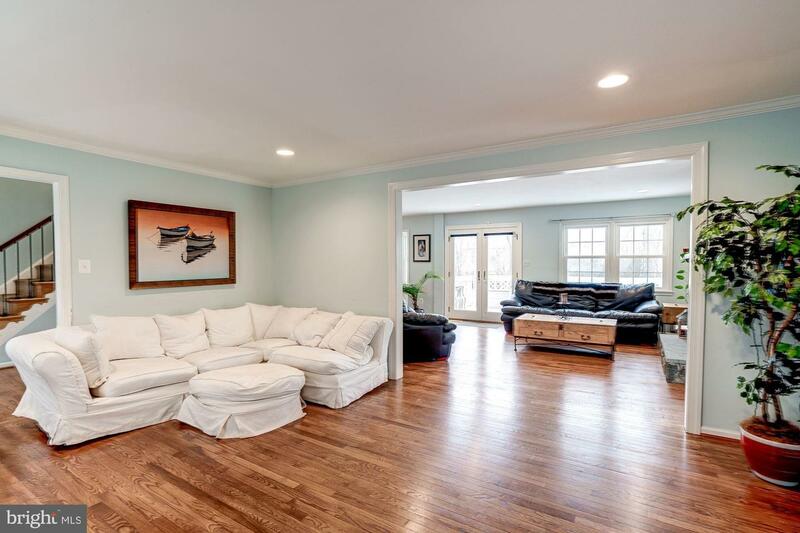 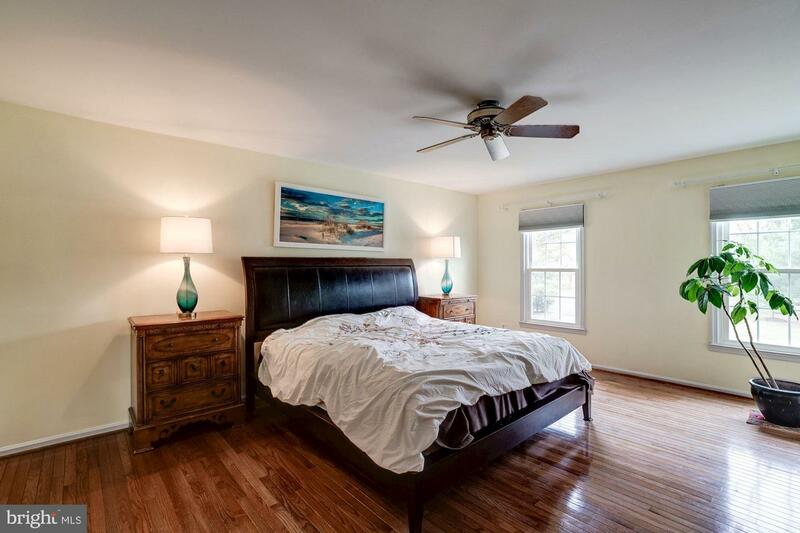 Hardwood floors throughout main level and master upstairs. 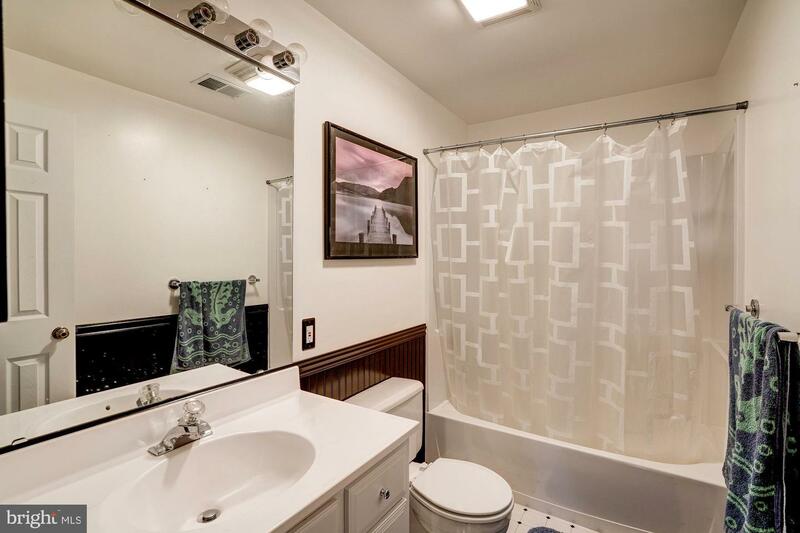 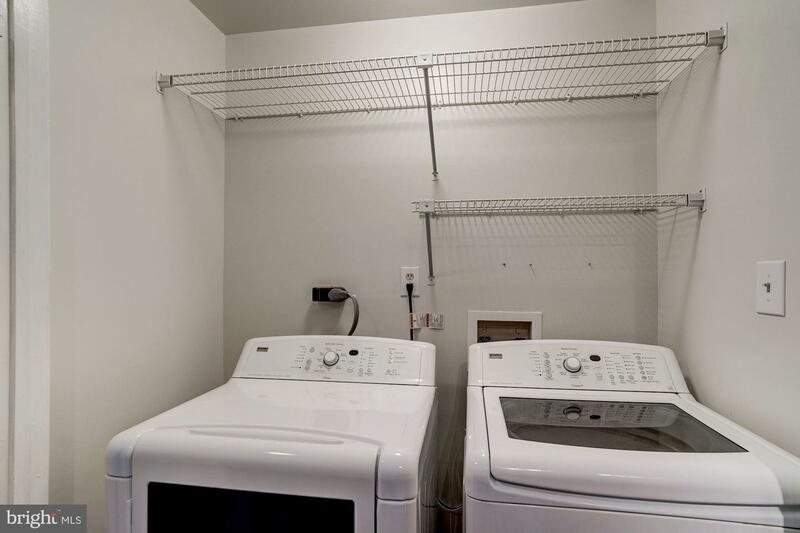 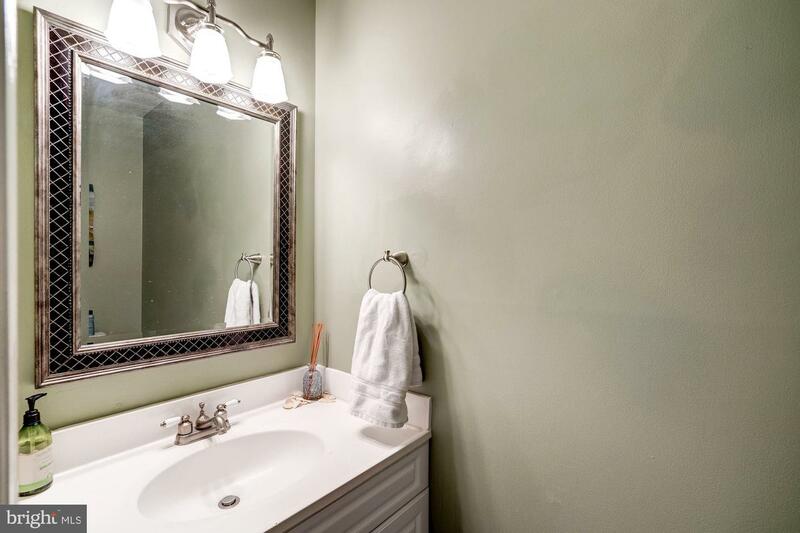 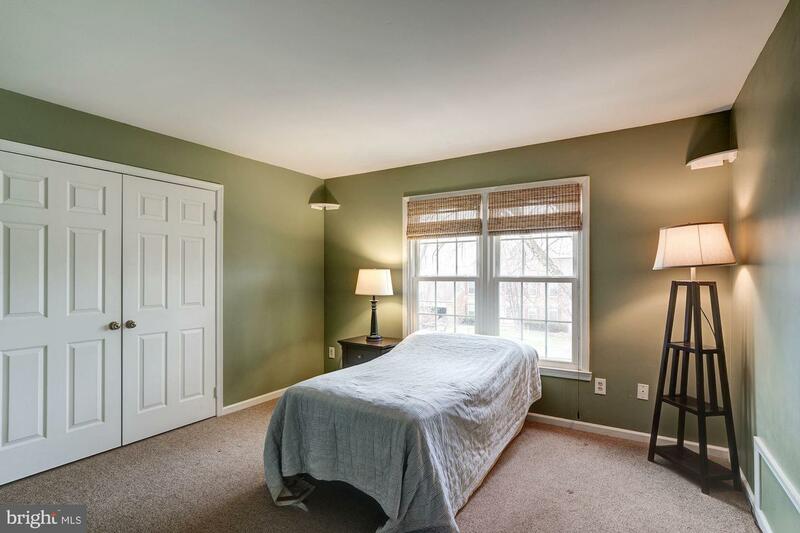 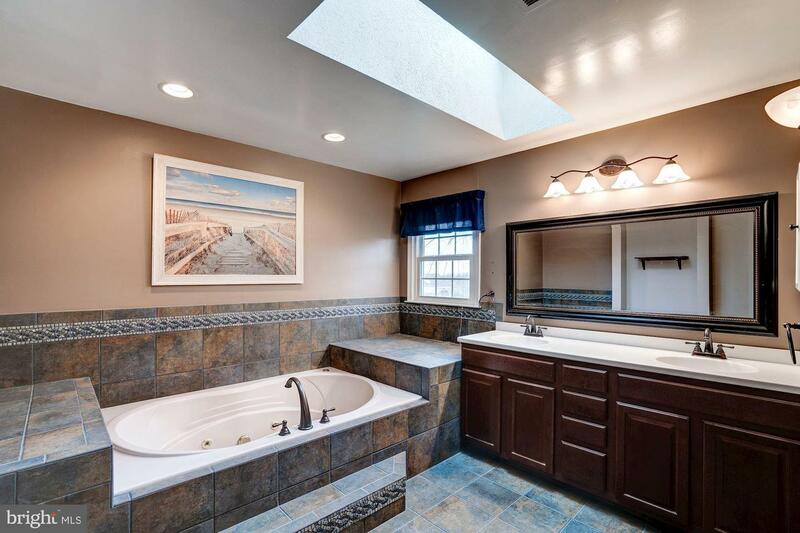 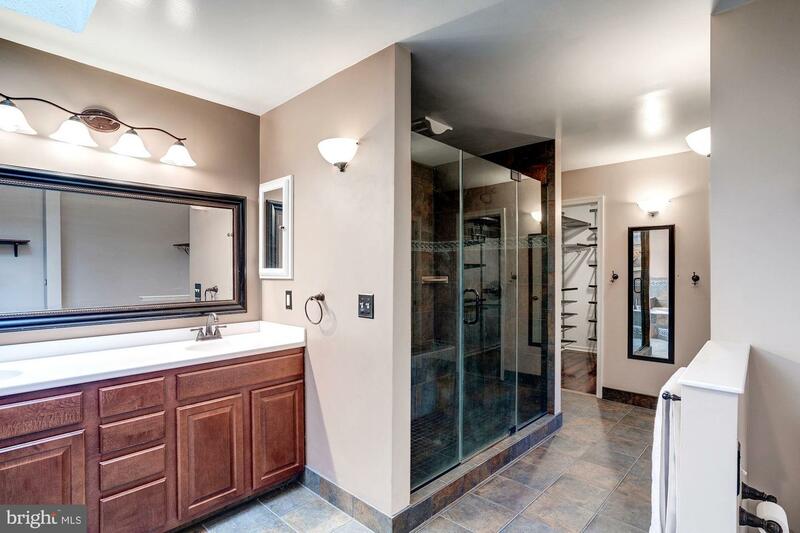 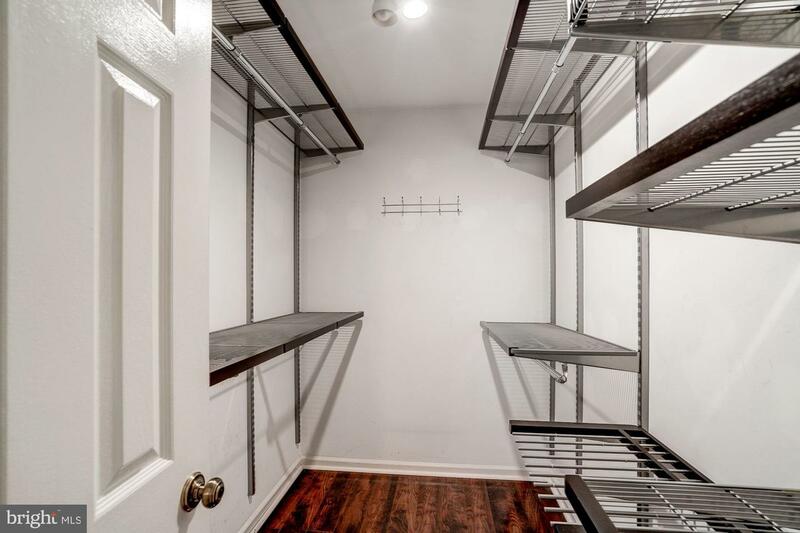 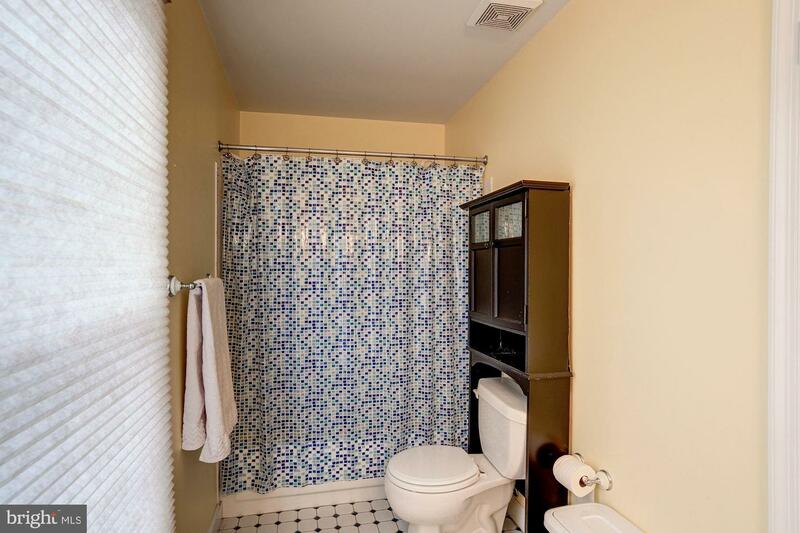 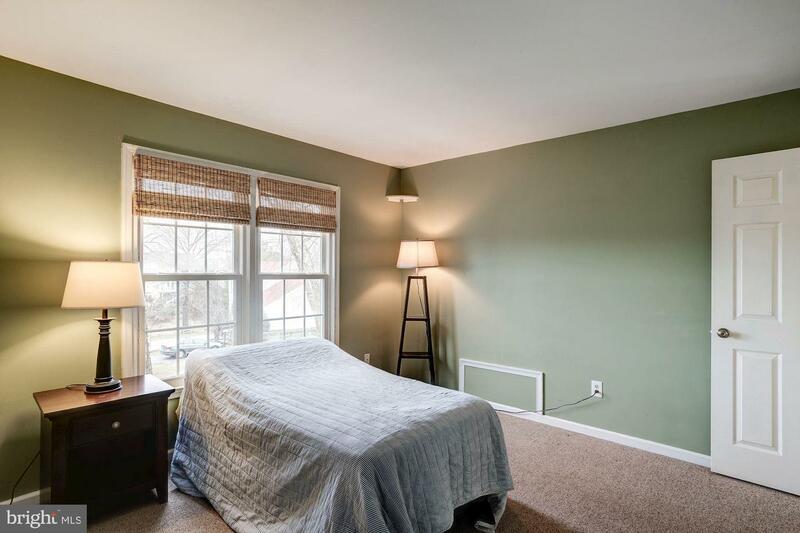 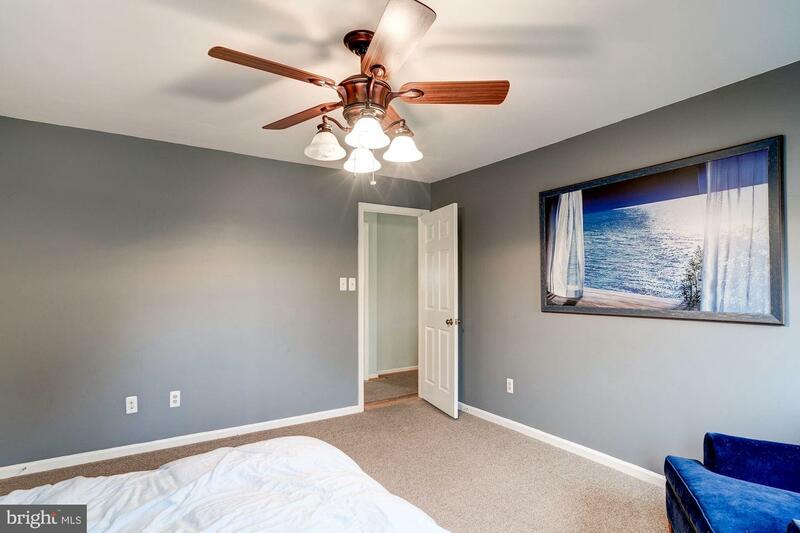 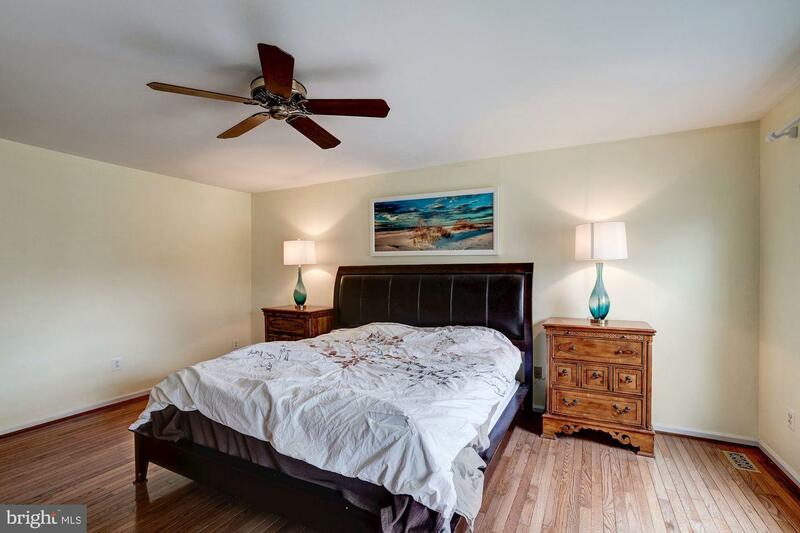 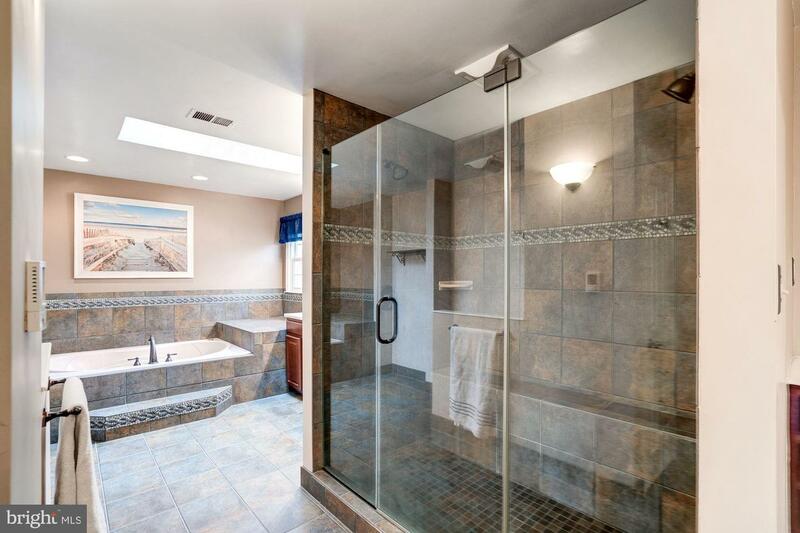 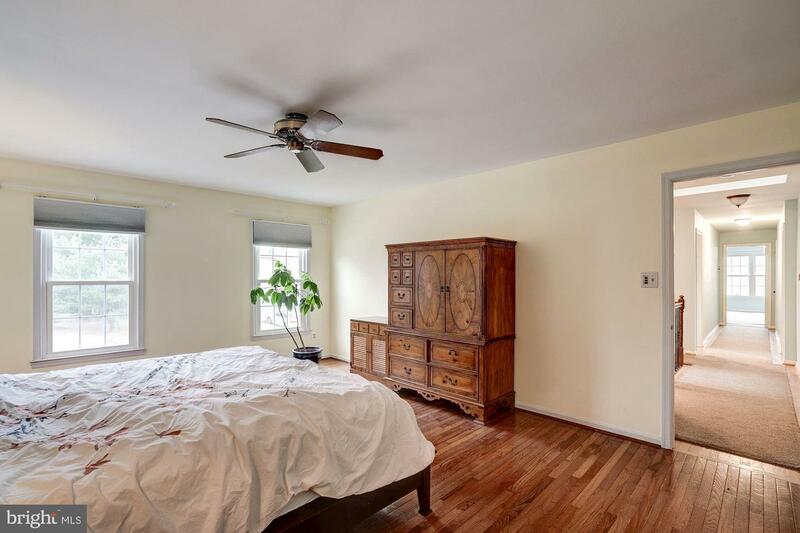 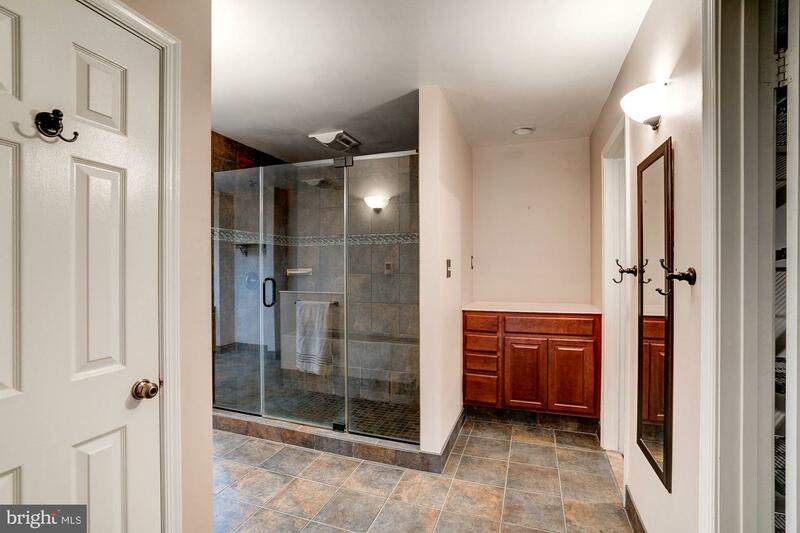 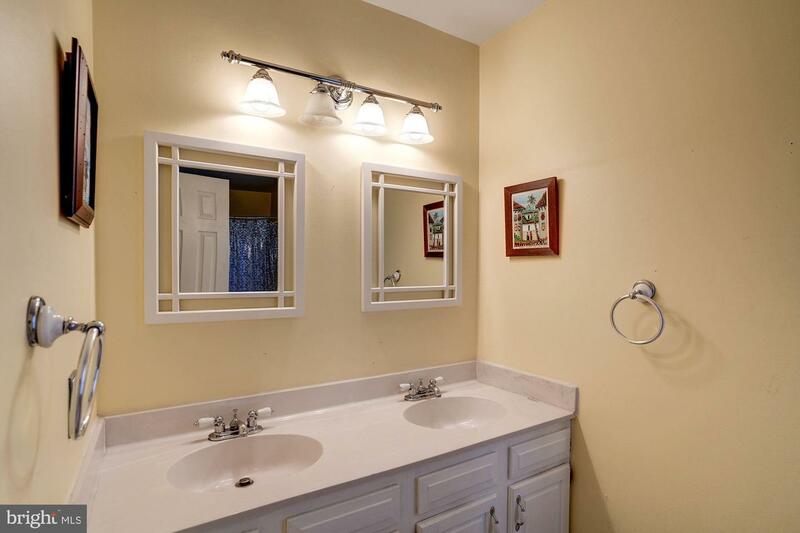 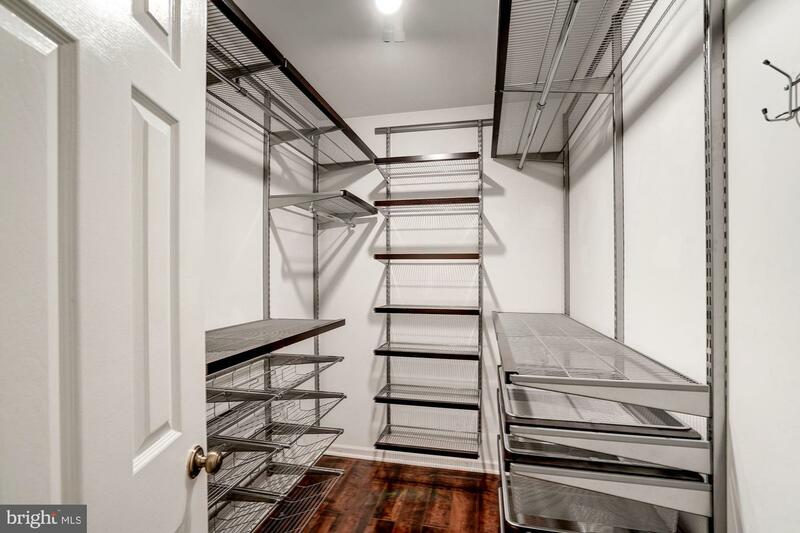 Huge renovated master bathroom with jacuzzi tub, his & her walk-in closets with organizers. 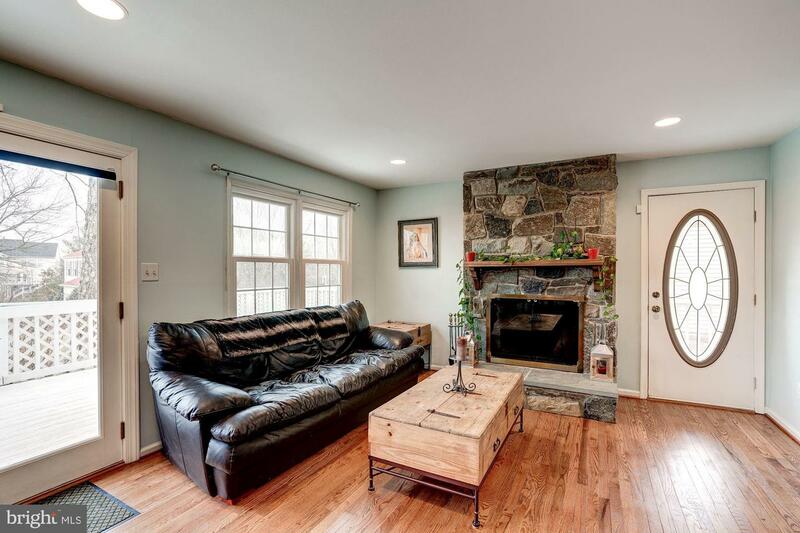 Two fireplaces add to the cozy feel. 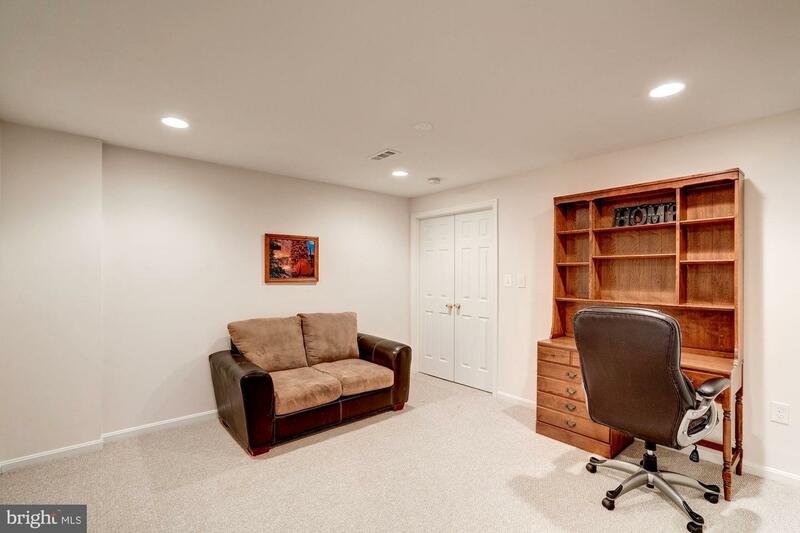 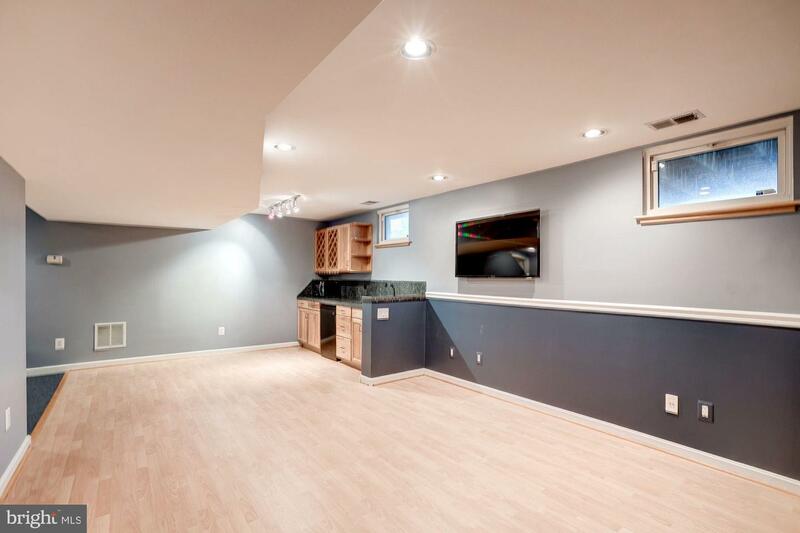 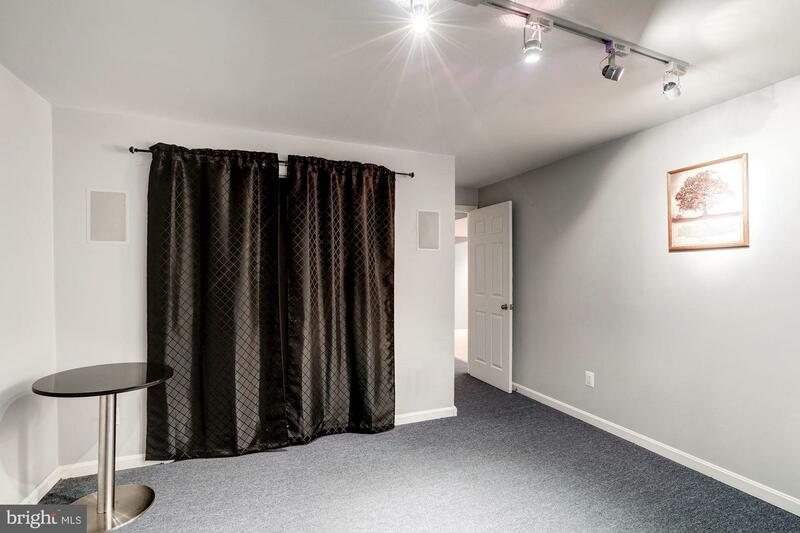 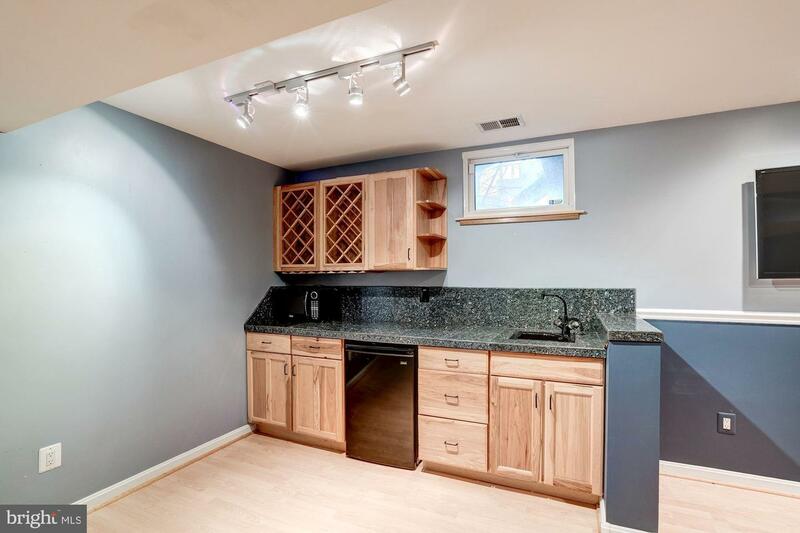 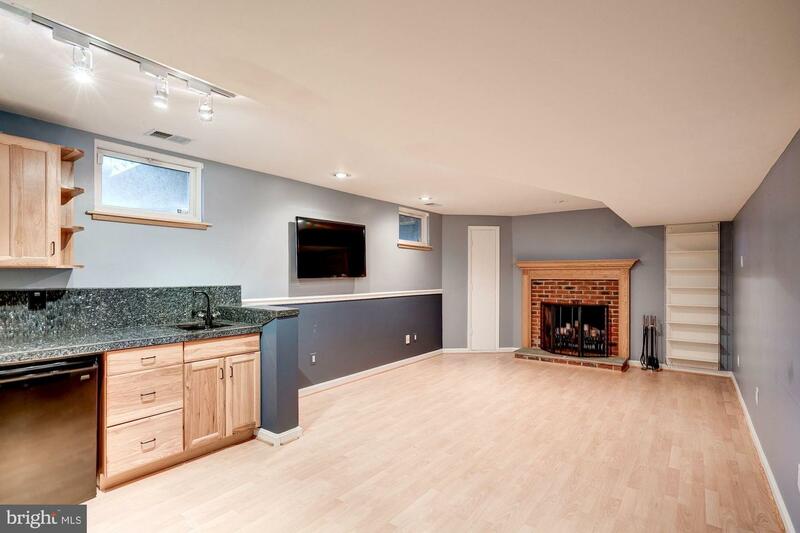 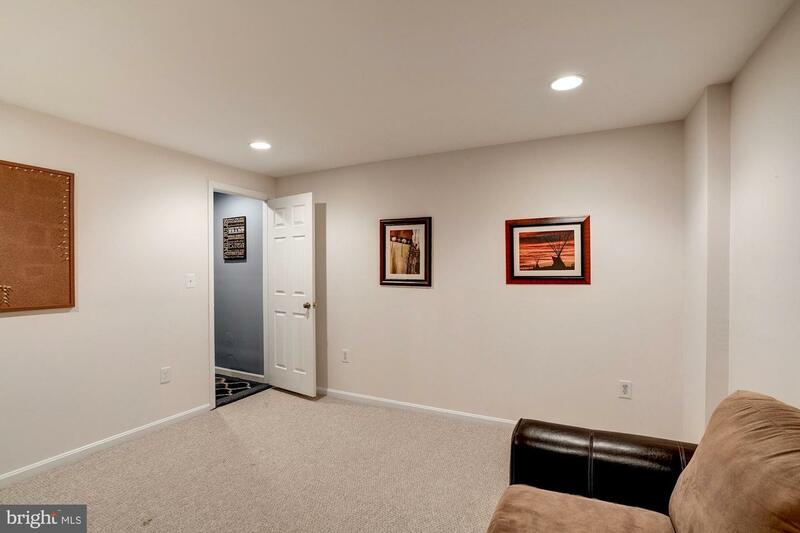 Finished basement has a wet bar, full bath and a theatre room, with projection system installed. 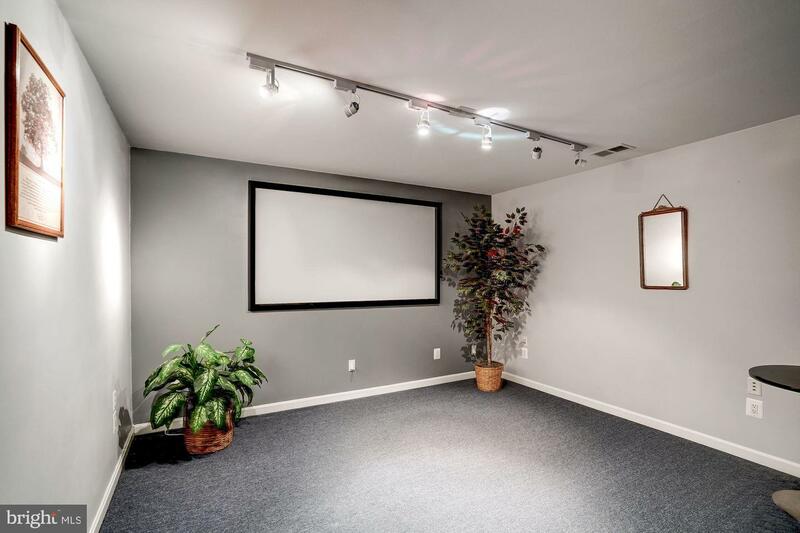 Whole house water filtration system and underground water sprinklers for lawn. 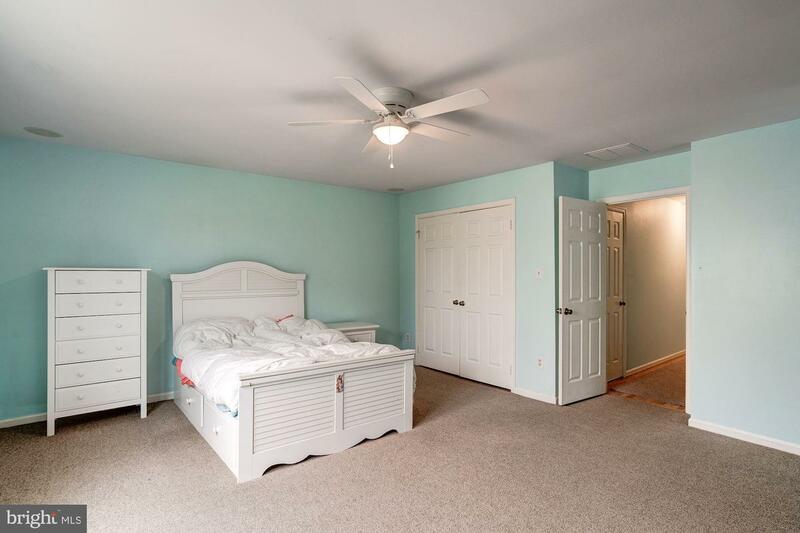  Home is located directly across from the community pool and playground, and backs to open grassy area and walking/jogging trails. 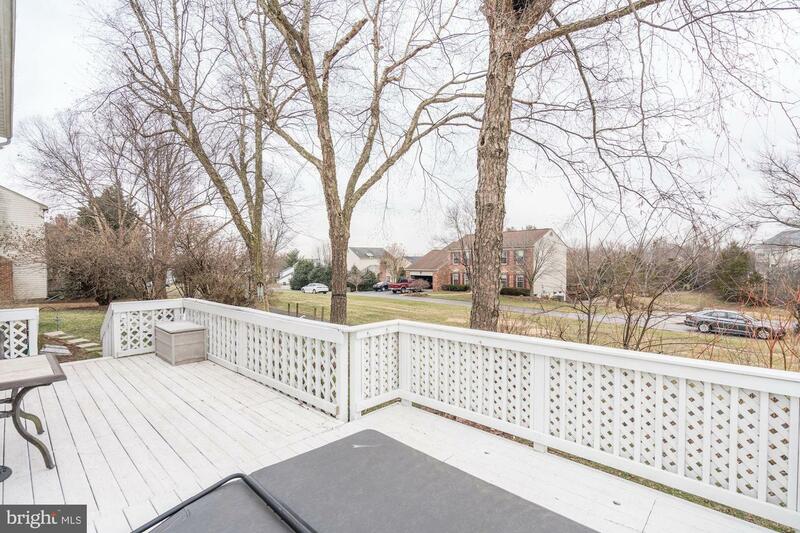 Hot tub in deck works perfectly and conveys.